Lindsey Bobinger, 33, a wife and proud mother of four, has been a dedicated ESN Health client since June 2016. Lindsey lost 22 pounds, 13.25 inches and 6% body fat in her first 8 months and continues to work hard towards her new goals! 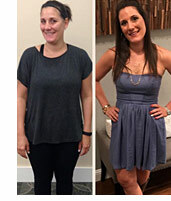 Lindsey’s favorite benefit of her new lifestyle is feeling more confident in her clothes and the fact that her kids want to be more active and workout with her! She has reached her first goal of “pre-children” weight and completed a 1/4 Marathong WITHOUT walking! She has really started to enjoy working out and has big goals set for 2017 that she plans to conquer with her commitment to her 5:00 AM ESN Health workouts! 2018 New Year, New You Challenge! Are you ready to make a decision to improve your health and change your life? 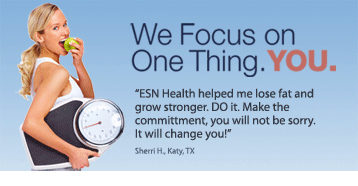 At ESN Health, our mission is to create and maintain healthy lifestyles. 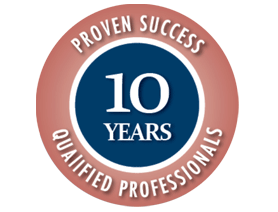 We work hard to keep you motivated, accountable, and excited about reaching your goals. ESN is always on the lookout for qualified and dedicated trainers. Contact us today for our current opportunitites.